1. 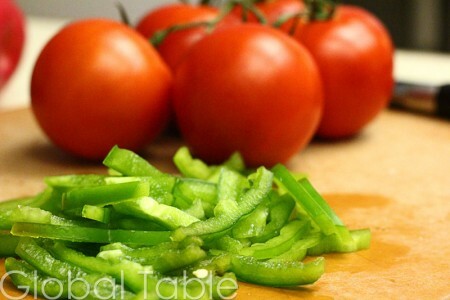 Combine the pepper, tomato, and onion. Sprinkle with oil and vinegar, top with parsley and season. Add the cheese and serve. You could serve this salad unmixed, and let everyone take the pieces they want. As an option, mix in lettuce! 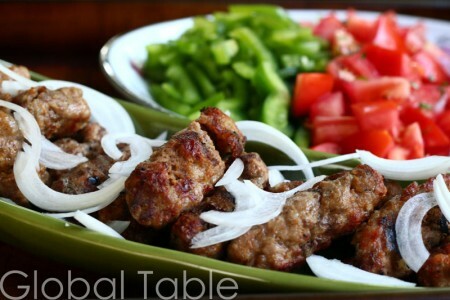 TIP: Shopska Salata goes great with Cevapi (little sausages)! Combine the pepper, tomato, and onion. Sprinkle with oil and vinegar, top with parsley and season. Add the cheese and serve. 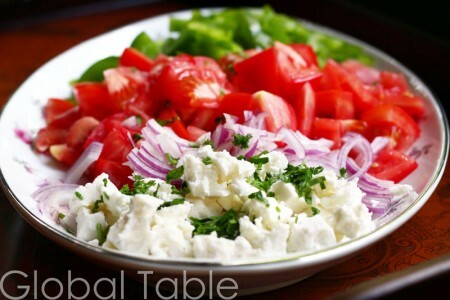 Shopska Salata goes great with Cevapi (little sausages)! LOVE shopska! My sister and I visited Bulgaria in August of 2004, and since both of us are vegetarians, this is pretty much all we ate! This, and ‘tomato salads’ (plates of garden-fresh tomatoes! Heaven!). I am lucky here in Minneapolis – there is a shop that carries Bulgarian feta (amazing!). 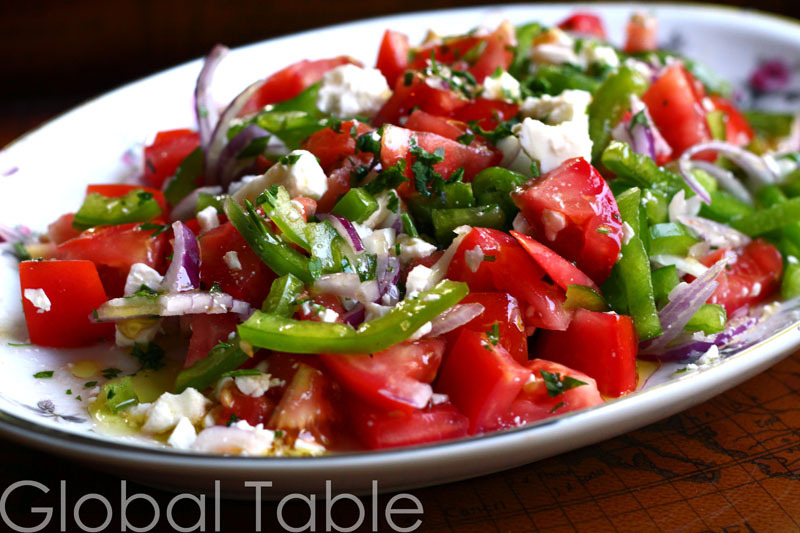 Thanks for sharing – this is a beautiful & simple salad. 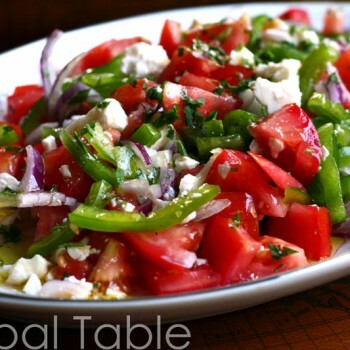 This is a Bulgarian salad.